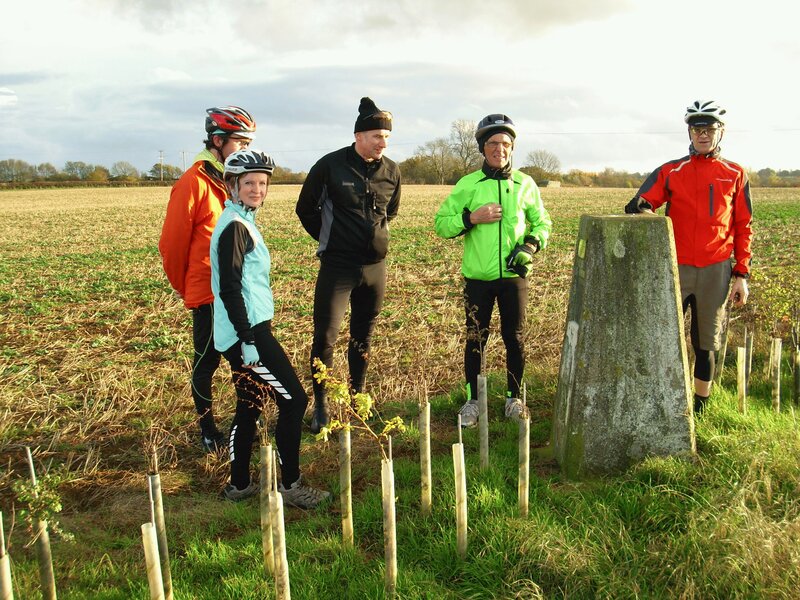 Saturday’s leisure ride, led by Philip, took six of us (including a new rider, Bob) to a farmer’s field just outside the village Cold Ashby. Richard was the first to spot the concrete pillar. We then went to a pub that brewed Nobby’s Beer. Several pints were consumed and more taken back in panniers. It was dark by the time we left and colder. Lights were needed. A return visit to understand the brewing process will be occurring in December led by Philip. David’s account intrigued me and I started to follow it up. My first port-of-call was Rachel Hewitt’s 2010 book, “Map of a Nation: a biography of the Ordnance Survey” (a Christmas present that year from my son!). She gives 1935 as the year when the OS started its twentieth-century retriangulation. This is repeated in the Wikipedia articles on triangulation stations and the retriangulation project. 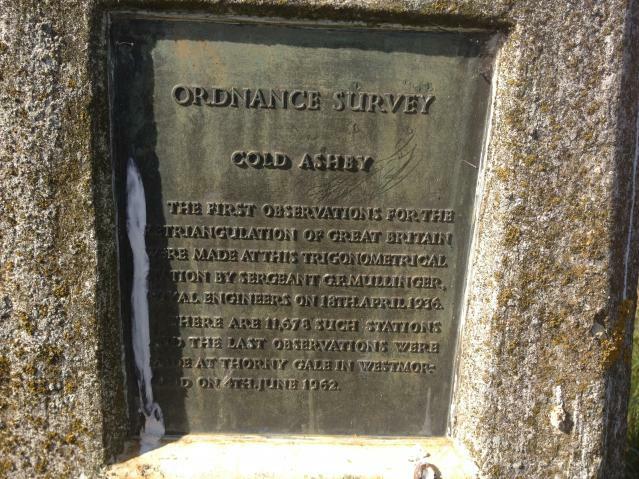 Next, I found a short clip about the 75th Anniversary of the Cold Ashby trig point from BBC Look East broadcast in 2011 which would give 19th April 1936 as the erection of this first modern trig point. But the puzzle is solved with the help of photos from the enthusiasts’ site Trigpointing UK. 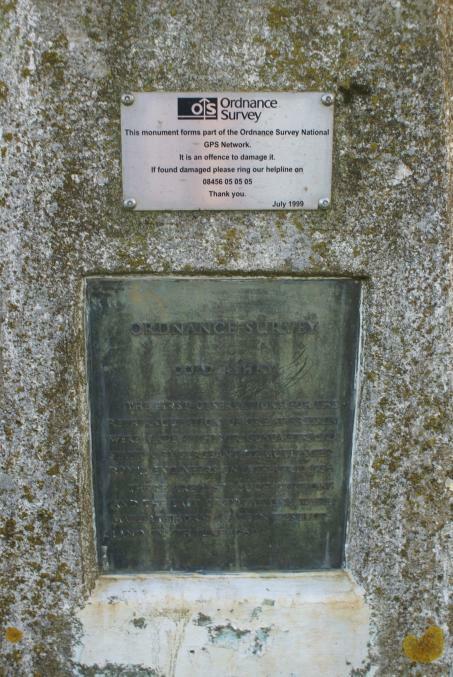 One of the photos clearly shows the plate engraved with the date 18th April 1936 (and hence the broadcast the following day in 2011)! 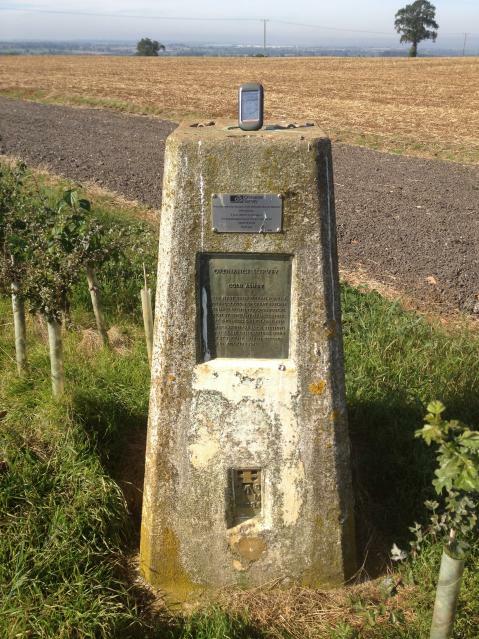 The trig point while cycle chatting takes place! Unusual history on Northampton’s doorstep! On Wednesday 14th November, at 7.45 p.m. in the Stahl Theatre, Oundle, Andrew Ritchie, inventor of the Brompton folding bike, will talk about getting his cycles on the road. I’ve heard Andrew Ritchie talk before – at Nottingham University (on the iconic former Raleigh site) back in February – and he is really good value. This will be followed by Dom Gill’s film, “Take a Seat”, about his intrepid tandem trek from Alaska to Cape Horn. midweek rides which I know about that are available in Northamptonshire. Highlighted rides are ones that strike me as rideable – comfortably – from Northampton. We made a prompt start. Well, the sooner we started the sooner we would get to the dry A5 Rangers’ club-house in Towcester! If the town had been wet, the countryside was flooded. Pleasant lanes had become quick-flowing streams. Every road was coated with leaves. Bill led us straight to the club-house; no meanders; just the hope that we wouldn’t arrive before it was opened. Forty-five minutes pedalling and the club-house was open. It had magnificent wall mounted heaters. They were soon draped with wet gloves, hats, socks … only later did I spot the sign asking us not to dry wet items on the heaters! The riders from Milton Keynes had tales to tell of roads closed by the floods. “Car-assisted” members had tales of being drenched in just the 200 metres walk from the nearest car-park. Hot drinks and cake were consumed with glee. The AGM commenced promptly at 10.30 a.m. and our thanks are due to Richard Daniells for efficiently chairing the meeting and to Max Scott for providing a sixteen-page report. 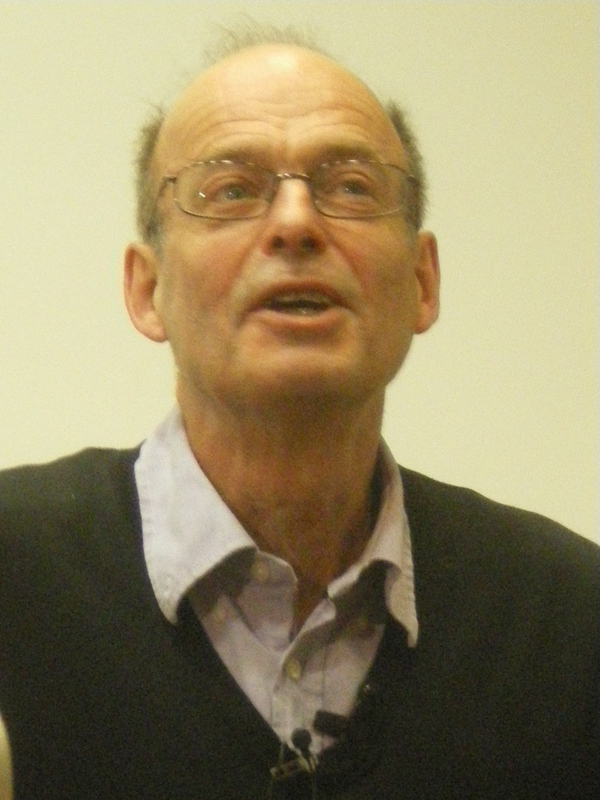 They were re-elected to their posts as were Eleanor Weller (Treasurer), Brian Tunbridge (Welfare Officer) and John Cutler (Registration Officer). The committee now includes members from all the local member groups. At 11.30 a.m. the meeting ended but the rain had not. As our lunch was booked for noon at The Butchers Arms in Greens Norton, we were in no hurry to go back outside. Brian and one Ian set off back to Northampton and endured a pretty wet ride home. Bill and the other Ian set off for Greens Norton. It had been a pleasure to put on dried gloves and a warm hat! By the time we reached the Pegasus crossing at the A43 I was just as wet as I had been earlier. The pub was welcoming (they’d expressed surprised earlier that twenty cyclists would make the effort). The Sunday carvery proved popular and an very social lunch was enjoyed by all. The rain stopped and weak sunshine greeted the end of lunch. After farewells, Bill and I rode back to Northampton. We remained dry – but only from the knees up. Every lane was flooded; the water was pouring off the fields, through the farm gates, and at times straight through hedges. Roads became rivers. The A5 between Duncote and Caldecote was flooded with traffic at a standstill. And it was too cold and too wet to stop for photographic evidence. Bill and I said our goodbyes at Milton Malsor to take different routes back into town. My thanks are due to him for leading this intrepid ride. 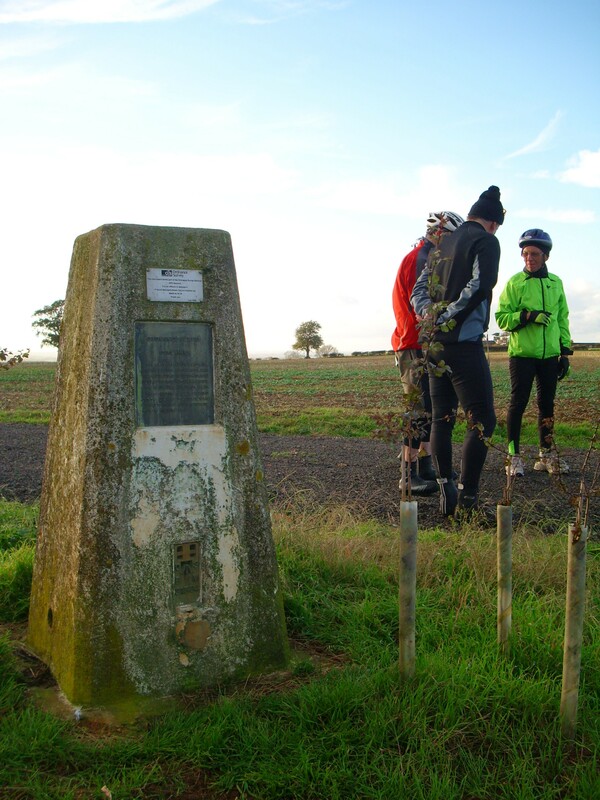 Our route from Hunsbury to Hunsbury is here – 21 wet miles, and 31 wet miles door-to-door. This was our wettest ride since Kelmarsh in March. Winter has arrived!